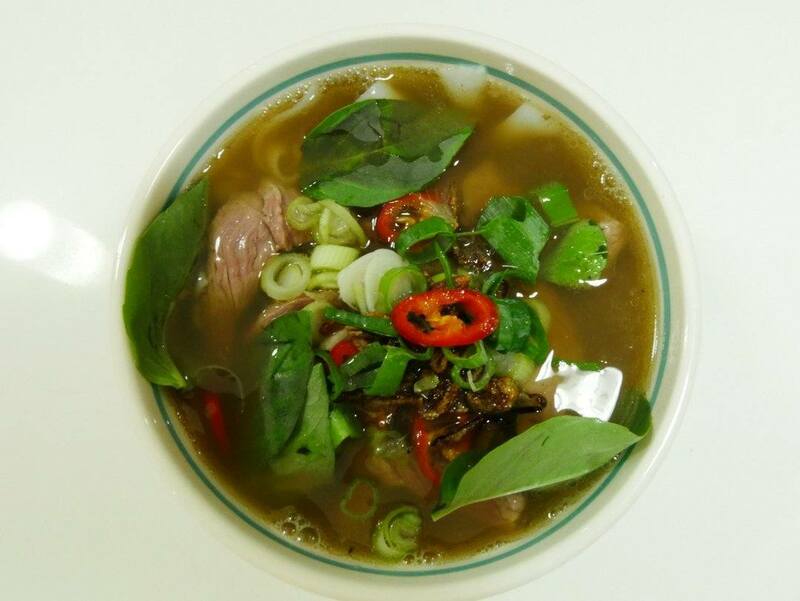 Been to Vietnam and missing Pho? - Here's how you can make it yourself. Vietnam is known for pho. Beef or chicken, it’s the way that many Vietnamese start their day. Hanoi is widely regarded as being THE place to get good pho, but we had some great experiences all over Vietnam. The actual ingredients can vary, depending on location and the availability of ingredients. This is the easiest recipe for vietnamese beef pho I’ve found, and it’s one that delivers flavour every time. I’ve also included a video that allows you to follow in easy steps. We’ve been missing our steaming bowl of goodness, so I had to get myself into action and make some again. Making food like this is how we get to re-create our travel memories. The beef bones I used were quite large, but it doesn’t really matter. If you can, it’s always good to cut them up as the more surface area on the bones, the more flavour you can get from them. 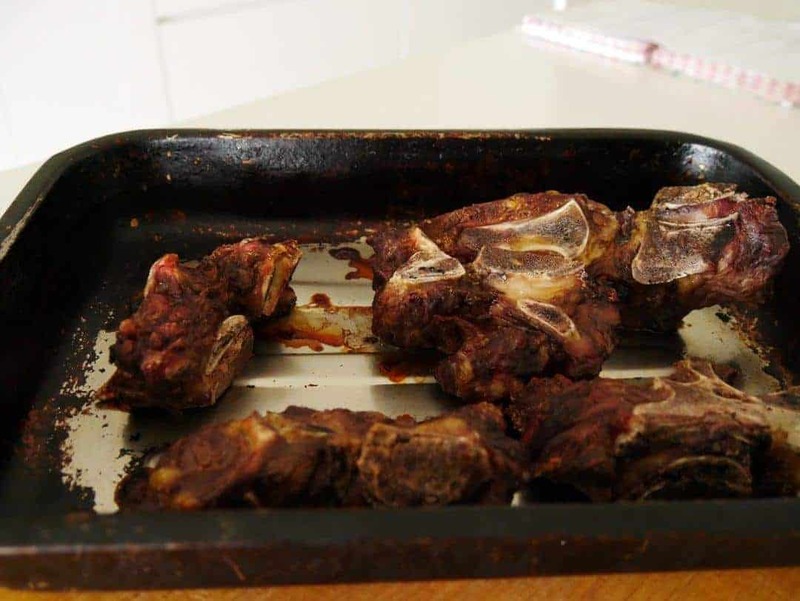 Roast the bones in a hot oven for 20-30 minutes or until they are well browned. Add the bones to a large pot along with the cold water. The bones should be covered. Bring to the boil and then immediately lower to a simmer. Skim off any scum that rises to the surface. 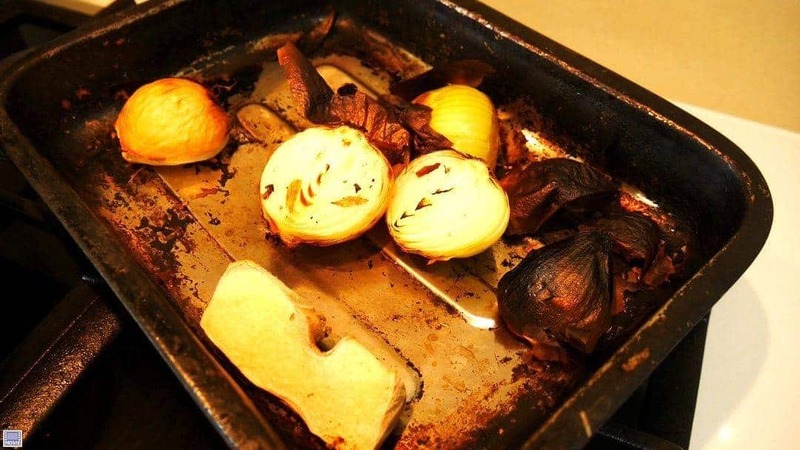 Add the onion and ginger to a roasting tray and place under the grill on a high heat. Char them until they are blackened. This will usually take about 10 minutes. Cut the ginger into pieces and the onions in half again and add to the pot of broth. Add some fish sauce as well. Note: there is no exact measurement for fish sauce. I continue to add it through the process, tasting along the way. It’s best to add smaller amounts at first rather than to overdose it with the sauce. In a small fry pan, over a medium heat, toast the spices – star anise, cinnamon, cloves and fennel. Shake the pan occasionally and roast until fragrant. This will only take about a minute or two. Note: Be careful here not to overcook. Place the toasted spices into a piece of muslin/cheesecloth and tie it with a piece of kitchen string/kitchen bands. Add the bay leaves to the broth. TIP: If possible, tie your muslin to the handle of the pot so it isn’t fully immersed in the hot broth. It’s easier to get out later. Simmer uncovered for two hours to develop the flavours. Skim any scum from the top that may form during this time. After two hours, remove the onion, bay leaves, muslin cloth and ginger. This is no longer required. Remove the bones and set aside for later. Let the broth continue to simmer for another 30 minutes. Continue to add fish sauce, building the depth of flavour up. Note: This broth tastes flavourless, despite the inclusion of spices, until you bring the fish sauce levels up. As you add more and more fish sauce, the flavour develops. Meanwhile, pull any meat off the bones if possible, and add to the broth. This is where you can add a variety of ingredients. The key here is to ensure they are as fresh as possible. Cut the spring onions, coriander and chilli. Coriander is one of those ingredients that people have a love/hate relationship with. I’ve never been a big fan but will admit to getting a little more used to it in Vietnam as it’s hard to escape it. Adding fresh Thai basil right at the end gives it a lovely aniseed flavour and sprouts give it crunch. Cut the beef into very thin strips. This is important as the meat cooks in the broth. If it’s too thick, it won’t cook quickly and it’s harder to eat. I always use fresh rice noodles but if you can’t find them, then dried noodles are ok. Just remember to soak them before you need them. As you are now getting close to serving, turn the heat up on the broth and bring it to boiling point. This part of the process can vary as well, but this is the way I like to do it. This way everything stays fresh and doesn’t go soggy. Add the noodles to the bottom of the serving bowl, followed by the raw beef. You’ll see in the video that I’ve put heaps of beef in there. I have a meat eater to feed!! Starting to serve the pho. Ladle hot broth over the top of the bowl until it covers the beef. The beef will start to change colour as it cooks. Alternatively, if you like your beef more cooked, you can always add it directly to the broth for extra cooking time. Add your garnishes now, adding as little or as much as you like. Once they have all been added, don’t forget to give it a squeeze of lime to bring all the flavours together. This might take some time to bring it all together but it is the easiest recipe for Vietnamese beef pho. It’s great for beginners too. where you saw it. Pin this to your favourite recipe board for later! To check out more of our recipes head over to our Cook with Me page. Great recipe! I love pho and will have to try this one out. Good on you for making your own broth rather than buying the stock. I bet it tastes even better than it looks! Everything always tastes better when you make it from scratch.